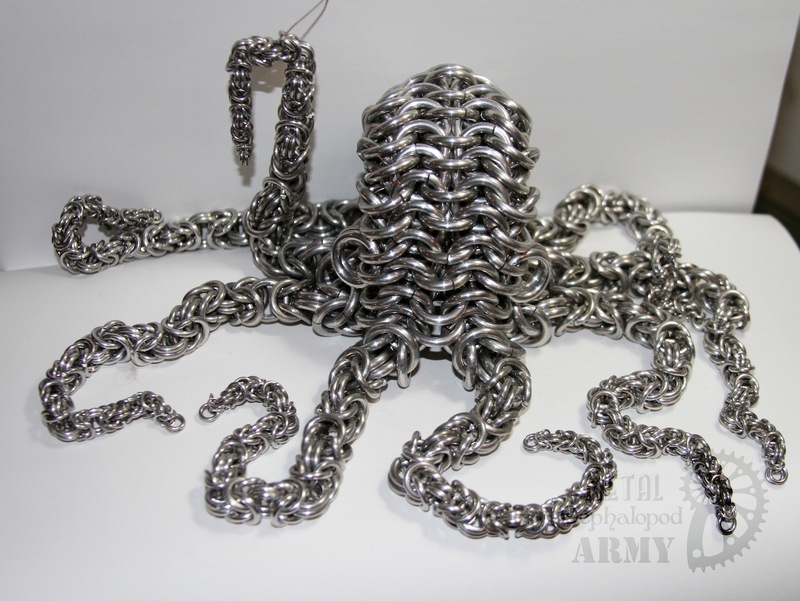 This metal chainmaille cephalopod is made from aluminum and has tapered tentacles in slowly decreasing sizes. 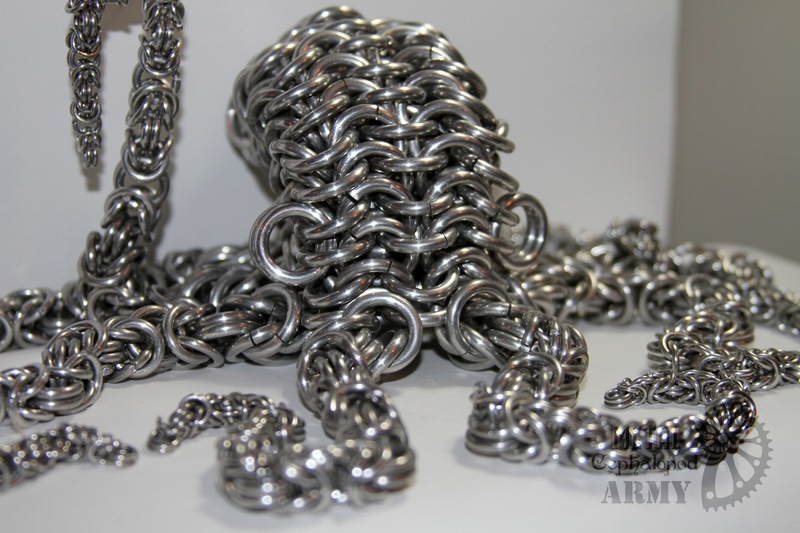 It is affectionately referred to as Cthulhu and is the largest size our store offers. The legs are flexible and can be put into various poses. Great desk toy or protector of your treasure. 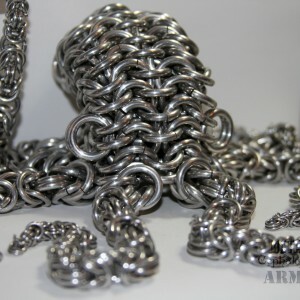 Due to the skill and time required to construct them, only 1 or 2 are made per year. CAUTION: Do not store in silverware drawers. This particular genus is known to browse on cutlery and spoons. 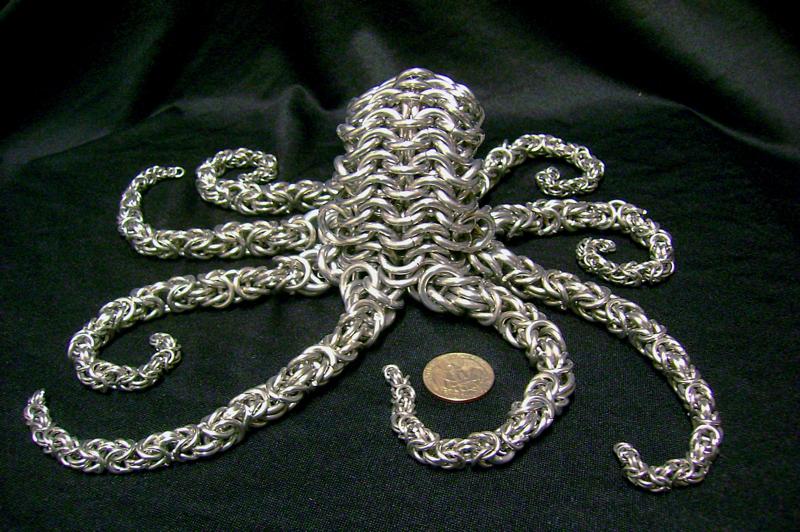 Is the Cthulhu size too big for your metal octopi needs? Check out this guy’s smaller sibling, the Calamari size. 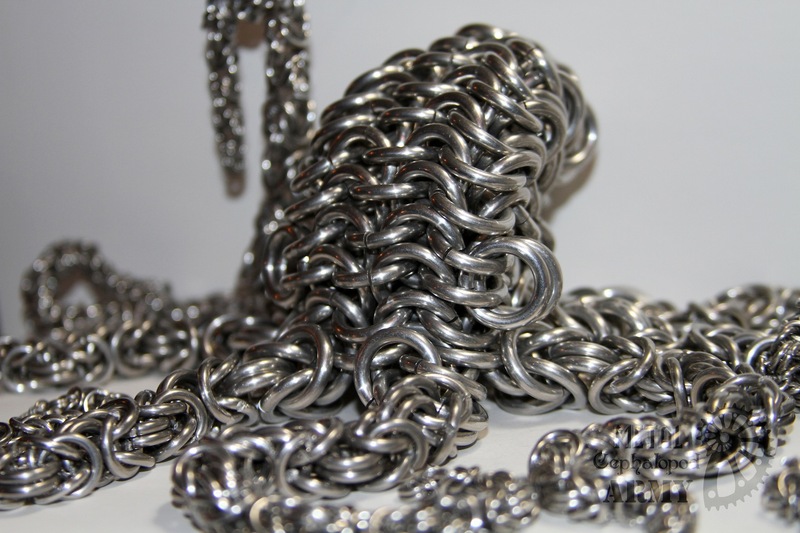 Be the first to review ““Cthuhlu” Sized Chainmaille Octopus” Click here to cancel reply.